Long beaded tassels hand crafted in India. Total length is approximately 6 inches including a 1 inch loop at the top. 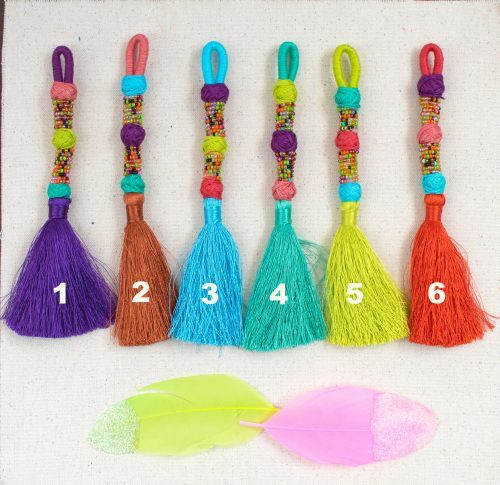 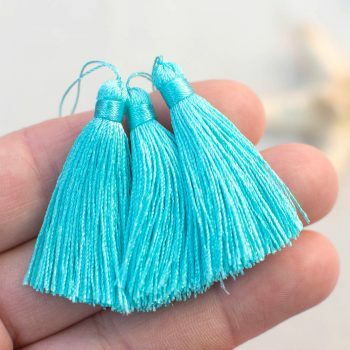 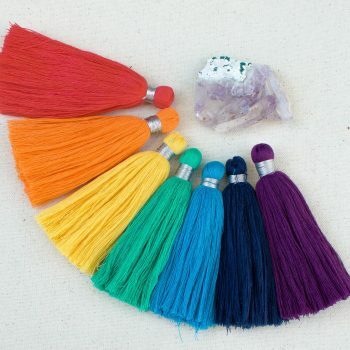 Each tassel is hand made and no two are exactly the same but color combinations are as shown the photo. 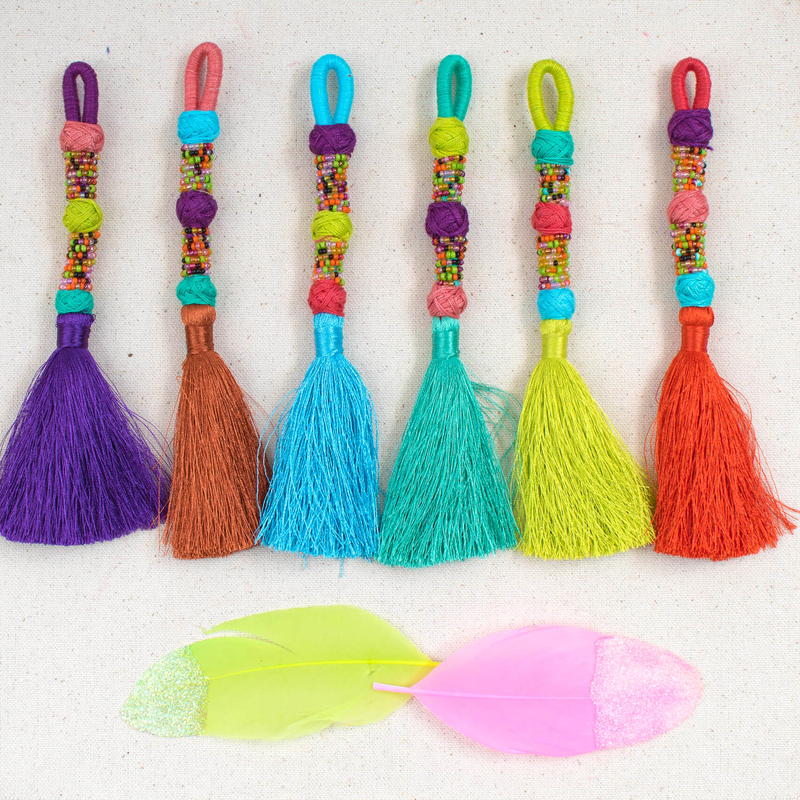 There are so many things you can do with these, attach to a key ring, purse accessory, light pull, hang from your car mirror and more!